There is this single one whole wheat bread recipe I’m baking again and again since several years without a bread machine. The dough is ready within a few minutes and it’s so basic and flexible that you can vary it according to your whole grain and seed preferences. 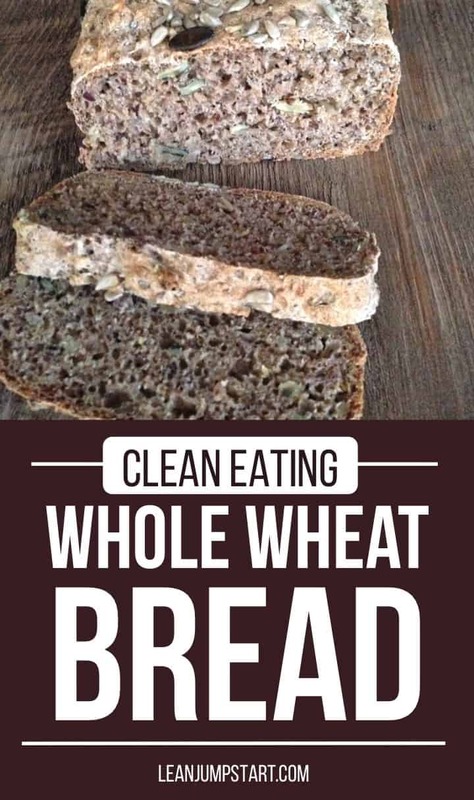 Of course, it is clean eating bread and I’ll also explain, why whole grain nutrition is superior to a white meal consumption at the end of this blog post. Why making whole wheat bread? Although we seem to have here land of plenty, when it comes to bread types, it is still not easy to find healthy choices without added sweeteners, preservatives and other additives. If you live in the US you can probably relate to this. Also more and more traditional bakeries are replaced by chains, which for profit then often save on raw material quality. 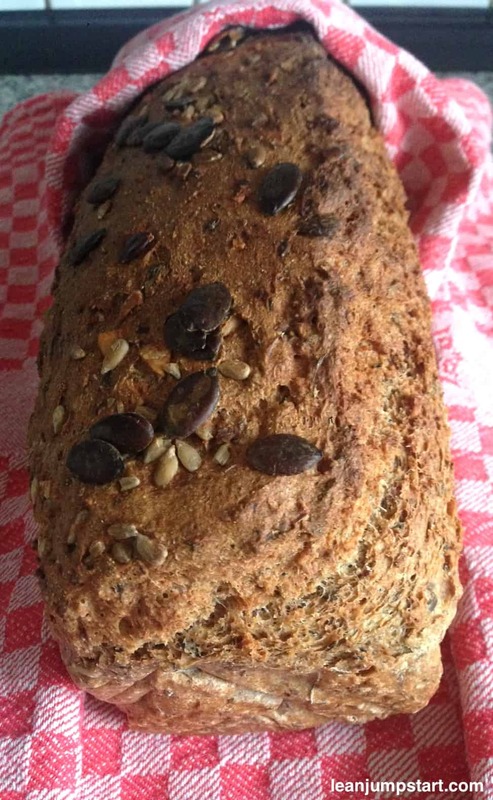 And the worst: They offer many “fake whole grain bread” – dark loaves with grains that in fact are disguised “white” all-purpose flour goods colored with rye malt. In consequence, you have to keep you informed and really choose wisely as a consumer. Of course, I still buy 100% whole grain bread in selected bakeries, but taste and quality is not so convincing that we would stick to one single grain product. So the time is ripe for baking this homemade bread more regularly. In my humble opinion, everybody should know how to bake his own loaf. And after a few fails, I’m convinced that everybody can do it – prevented you have the perfect recipe and ingredients. Do not preheat the oven; dough goes into cold oven. In the large bowl of a standing mixer or Thermomix add water, yeast (+ honey) and mix briefly for 2 minutes to dissolve yeast. (If you have a Thermomix then blend at 37°C/speed 1 for 2 minutes). Add all other ingredients in the order mentioned (except for additional seeds). Knead for 3 minutes in your food processor/Thermomix or use a mixer with a dough hook. This should result in a smooth yet sticky, stringy dough. Sprinkle some seeds on it. Put dough into the baking sheet (lined with parchment paper). Sprinkle again with some seeds on top. Pop into a cold oven and bake for 50 minutes at 340 °F/170 °C in a convection oven or for 60 minutes at 390 °F /200 °C in a regular oven. Let bread cool down for some minutes before you transfer it to a cooling rack. It’s important to let it cool down completely before you store it in your bread box, refrigerator or freezer. *Instead of whole wheat flour you can also use whole spelt flour, rye flour or a combination of it. The healthiest approach would be to grind the grains on your own. Below you can see the dough which I placed in a baking pan with parchment paper. You’d don’t need to wait until the dough rises but you can put the form directly in your cold oven. 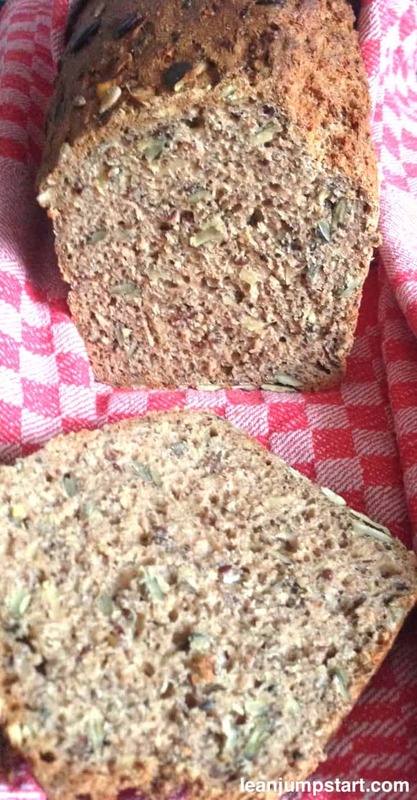 Once I had my own little family bread consumption had changed and a multitude of evidence-based studies had proved that whole grain bread is more nutritious and better for us, health-wise. Time to speak about whole wheat bread nutrition benefits. Wheat grain consists of three different components. When all three of the ingredients mentioned above are ground, whole wheat flour is produced. In order to produce white flour, a further working step is required in advance for grinding the grain. The outer layers of the grain (bran) and the germ are removed. Especially the removed outer layers of the grain contain many micronutrients which are very important for us. Hence you’ll find dietary fibers, vitamins, and minerals only in very small quantities in white flour. The problem is that without fibers your body absorbs the carbohydrates very quickly and let it enter in our blood as sugar. In consequence, we supply our body with “empty” calories. No wonder we feel powerless and in the worst case, we can accumulate a lot of unnecessary body fat. Evidence-based research has shown for many years that those who eat the fiber-rich whole grains on a regular basis live longer and seem to be overall healthier. This was proved again recently in an analysis published in the British Medical Journal. An international research group examined 45 studies in the context of whole grain consumption. While earlier research proved evidence that an increased whole grain consumption protects against cardiovascular diseases, type 2 diabetes, and weight gain, they now added the following results: eating 90 grams of whole grain products per day can already prolong the life expectancy and reduce the risk for coronary heart diseases, cancer, stroke, respiratory and infectious diseases. Check out in this context also my top 100 list of high fiber foods. If a crispy crust is important for you (for us it is!) – then it’s critical to baking your loaf of bread in a “regular” baking oven. Baking in the convection oven might save you some time, but it won’t result in crusty bread. Here you are very flexible depending on your preferences. I use 2 different baking pans. Both work perfectly for the whole grain bread. When I want the bread slices to have a more rectangular form as seen above, then I use my “large” baking pan with 10 x 5 x 3 inches outer dimension. When I want the slices to be more like a pentagon (see below), then I use my smaller “pound loaf pan” with 8.5 x 4.5 x 2.75 inches outer dimension. For your convenience, I’ve sourced below also some appropriate baking pans (similar to mine) for you on Amazon. 3. What to do if you don’t have enough yeast? One of the most important ingredients for this easy recipe is fresh yeast or active dry yeast. The last time I made this bread my fresh yeast was out and I had just 3/4 teaspoon of dry yeast instead of 1 1/2 teaspoons called in the recipe. How did I replace the missing yeast? I just gave the dough some time to rise in a warm place at room temperature (at least 30 minutes) before I popped it in the oven. Again the result turned out perfectly! See for yourself below! The recipe calls for seeds. If you don’t have enough you might want to replace them with some oats or nuts you have at hand. 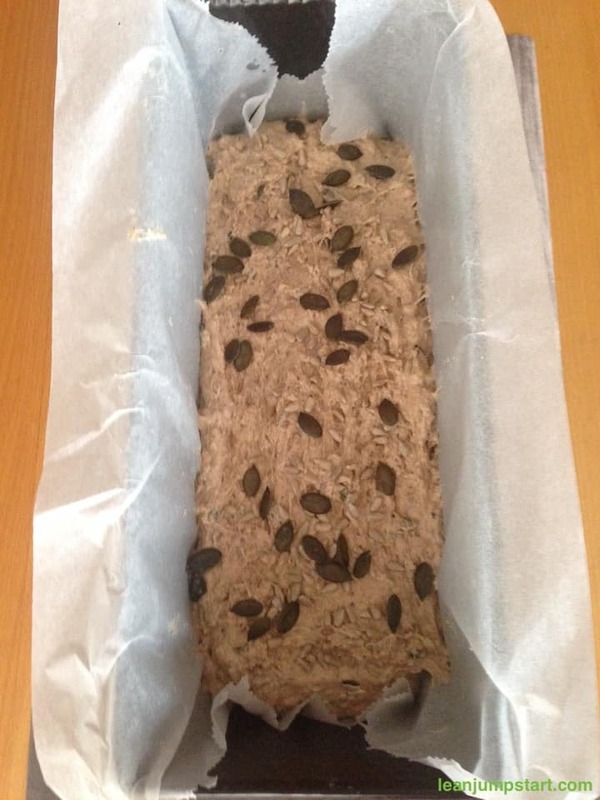 For the whole grain loaf above I replaced part of the seeds with hazelnuts. Yummy! With each new attempt, this list of tips & tricks will get longer. So feel free to bookmark or pin this page and come back from time to time. Let me tell you that I’m a lousy baker on instinct. Therefore I was never spoiled with high success rates regarding baking. But this easy bread recipe is really idiot-proof. Just give it a try and enjoy a great feeling of accomplishment. If you want to further reduce your risk for chronic diseases and premature mortality, health experts strongly recommend increasing the overall whole grain consumption. According to Dr. Michale Greger, an internationally-recognized lecturer, physician, and founder of NutritionFacts.org the consumption of three portions of whole grains a day seems as powerful as high blood pressure medications in alleviating hypertension. This could be a fiber-rich breakfast like oatmeal in the morning, soup or salad with whole grain bread for lunch and dinner with millet or brown rice as a side dish. Using this whole wheat recipe to bake your own homemade “staff of life” could be a great first step. Just try it, I’m convinced that you will love this simple fiber loaded recipe! Grab free cheat sheet & get educated! Click through to learn more about the various types of whole grain foods and how to recognize them when reading the package labels. 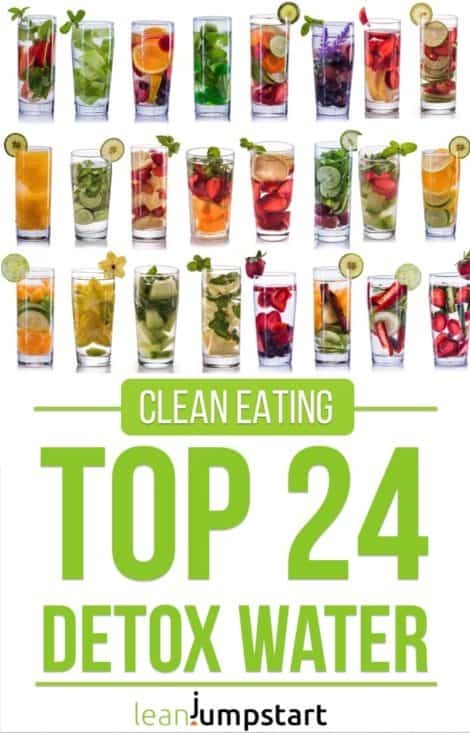 I’ve also added some smart strategies on how to implement more of them into your daily diet. You can download a free cheat sheet, which I’ve prepared for you. It assists you in identifying whole grain foods even when the whole grains council stamp is missing. Wow I really love everything about this bread. It’s so rich and wholesome – perfect for a cold day for breakfast toasted! Thank you Claudia, yes this bread is especially great in the colder season. I recommend toasting it when it’s a bit older – after 2 days. I love whole wheat bread! Looks so delicious and fluffy! Yes, it tastes amazing – especially when it’s fresh. But in contrast to white bread it stays also flavorful and moisture after two days. I’ve been baking a lot of bread lately and I’ve wanted to do a multi-grain. This sounds like “the one”. I’m glad that my recipe could inspire you as a regular “bread baker” to bake a multi-grain version. You can vary the seeds and grains according your preferences. Enjoy! I am always scared of break baking, but once you said 3 minute bread I was all over it. This sounds incredible! I’m the same Danielle. That’s why this recipe convinced me too. For us its’s perfect but I know that people with gut problems should better let the dough rise for a while. We used to buy a similar bread at the farmers market and my husband just adored it. I’ve since developed my own copy cat version, but I’ll have to try yours ~ love your tips! Nothing better than the smell of home baked bread! I love this recipe! Thank you for sharing! 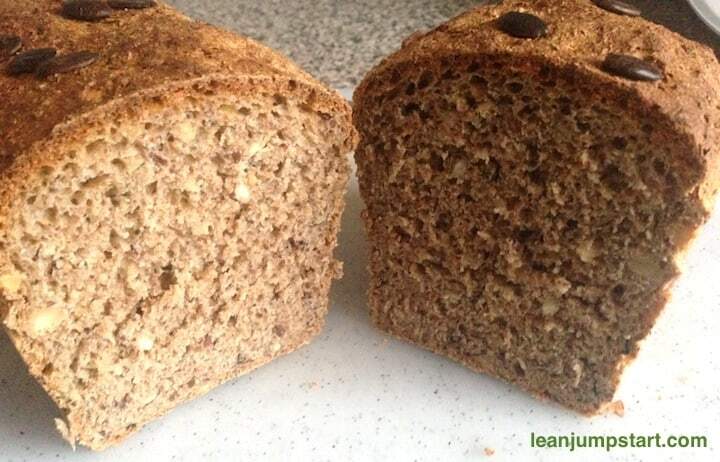 Absolutely loving the nuts and seeds in this whole wheat loaf. I love homemade bread, but sometimes it’s intimidating. This recipe looks do-able! This sounds very easy! I’m loving the super simple list of ingredients. Love all those seeds… both in the dough and on top! In the recipe it says whole wheat flour, but in your notes you say whole wheat bread flour. Is there a difference and which one? No Brandi, you can use any whole wheat flour for this bread.